150 pages | 42 B/W Illus. How can cartoon images aid in understanding bacterial biological processes? What prompts physicists to blur their images before showing them to biologists? Considering that the astronomer’s data consists solely of invisible, electric impulses, what is the difference between representing outer space as images, graphs, or sound? How does a work of contemporary art differ from a scientific image if we cannot visually distinguish between the two? How do aesthetics, art, and design influence scientific visualization and vice versa? This volume asks critically important questions about scientific data representation and provides significant insights to a field that is interdisciplinary in its very core. 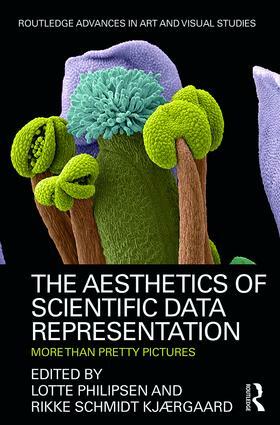 The authors investigate scientific data representation through the joint optics of the humanities and natural sciences. The volume particularly appeals to scholars in visual and aesthetic studies, data visualization, scientific illustration, experience culture, information design, and science communication. Lotte Philipsen is an Associate Professor with the School of Communication and Culture, Aarhus University in Denmark and former Fellow with the Aarhus Institute of Advanced Studies, Denmark. Rikke Schmidt Kjærgaard is executive director of Science Club, Denmark, CEO of Graphicure, and former Fellow with the Aarhus Institute of Advanced Studies.